They say the Paloma is Mexico’s most popular tequila-based cocktail. More so than margaritas, which on this side of the border tend to steal our affection if only because Palomas aren’t an option in many Mexican establishments. 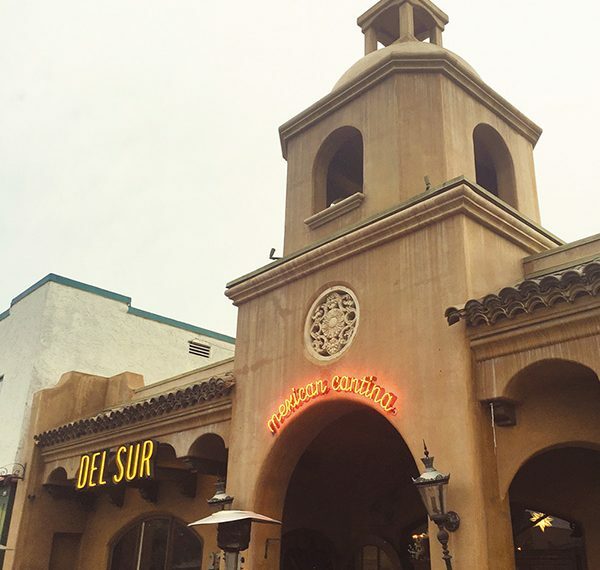 But they’re eagerly slung at Del Sur Mexican Cantina, the Mission-style structure replete with an intimate bar, colorful dining room, and faux bell tower that looms over this stretch of 30th Street. The cocktail is typically comprised of an uncomplicated mix of tequila, grapefruit and lime juices, simple syrup, and a shot of soda water. Though here the recipe hits its premium with the fresh fruit juices and a jet spray of fizzy, semi-sweet Squirt that replaces the club soda. “The bartenders are always willing to adjust the sweetness,” said a fellow patron named Natasha, who was enjoying a day off from her bartender job at the nearby Whistle Stop. The Paloma is her go-to drink at Del Sur, although on this day she veered off track and ordered a mango-chili margarita instead. “The fresh ingredients they use in their drinks are key,” she added while expressing her disdain for plastic straws as I vigorously sipped my Paloma through one. “Straws are for getting people to drink faster. For environmental reasons, I want to eliminate them,” she stressed. She’s right. I sucked down that Paloma remarkably fast, due in part to its citrusy zing and titillating sweetness from the Squirt, which was my favorite childhood soda. During happy hour, Palomas and mules are both $7 (normally $9). House margaritas are $6 (regularly $8), and a pitcher of margaritas is $30, which saves you $12. A few draft beers such as Tecate and Negra Modelo are also a couple bucks less than usual, selling for only $3 apiece during this time. Nachos, quesadillas, tostadas and flautas are in the offing for $7 or $8 per item. They’re about $3 less than normal. “We don’t reduce the portion sizes,” noted Sabrina Mitchell, the vivacious bartender who gave me a play-by-play on the making of my Paloma. She also helped me decipher the happy hour offerings on a menu card using the world’s smallest font. I ordered the quesadilla with carnitas, reluctantly passing up an option of jackfruit, which blew me away when I tried it here previously for dinner. The trendy tree crop contains flesh that resembles chicken. It’s available in the quesadillas or nachos. The carnitas sated my hankering for pork, which was layered with cheese between two large flour tortillas — no gourmet spins, just a classic quesadilla with meat. 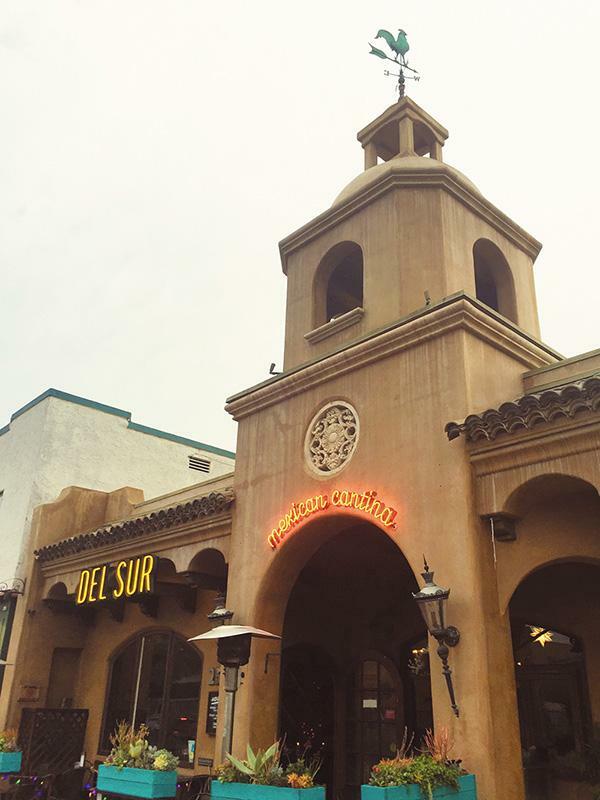 Del Sur’s vibe is friendly and upbeat. Its happy hour is a laid-back affair, which allows you to rub elbows with the regulars and perhaps learn a few cocktail tips.